Perle is made from the softest plush and dressed in a non removable outfit and hat, her soft cream and pink dress and bright pink ribbon is finished off with a cute pink rosebud on her hat. Looking very elegant she’s always dressed up for any occasion. Have a tea party, take a nap or just carry her wherever you go. 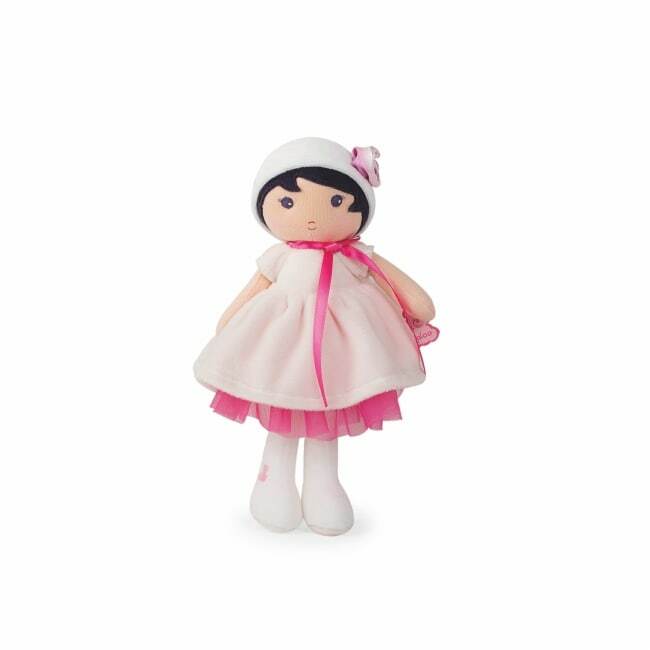 The perfect first doll for any little girl comes complete in her own presentation box.